Girard Children's Community Garden in Washington, D.C. was created on a vacant lot and is now a thriving community space for neighborhood kids, many of whom are from low-income communities of color. The outside of the garden and the city behind it. Kids who come regularly to the Girard Children's Community Garden mark their growing heights on this wooden post. It's summer. It's a great time to get outdoors and enjoy nature. But a new study shows that even small green spaces in urban environments can improve our mental health. NPR's Rhitu Chatterjee has the story. RHITU CHATTERJEE, BYLINE: Tucked between a parking lot and a busy playground in Washington, D.C.'s Columbia Heights neighborhood is a small community garden. 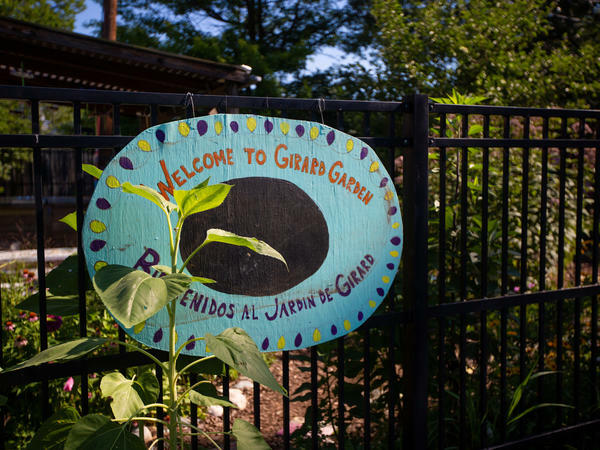 REBECCA LEMOS-OTERO: Welcome to the Girard Children's Community Garden. 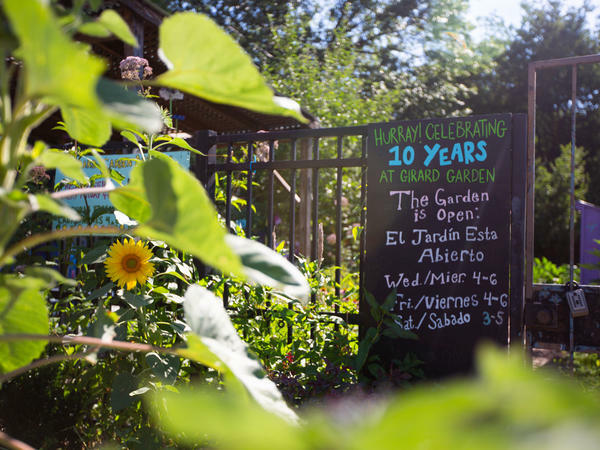 CHATTERJEE: Rebecca Lemos-Otero started this garden about 10 years ago. She runs an organization called City Blossoms, which has 15 gardens like this across the city. CHATTERJEE: There's eggplants and beans; also a couple of apple trees and grape vines. Lemos-Otero, who grew up in this neighborhood, says the space used to be vacant with an empty lot and abandoned buildings. People avoided the area. Now, kids love the garden. Many of them, she says, are from lower income communities of color, and the garden gives them a way to forget about their worries. 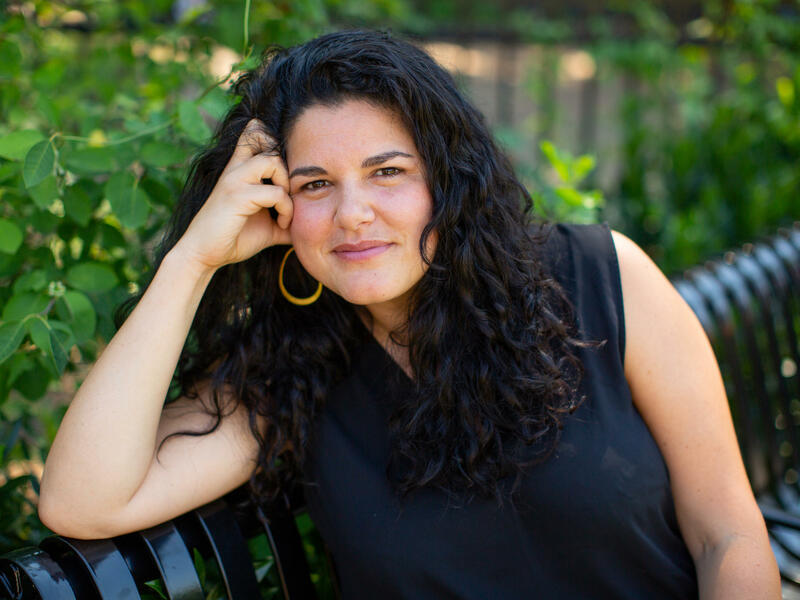 LEMOS-OTERO: Having access to a bit of nature - having a tree to read under definitely makes a huge difference on their stress levels, and the feedback that we've gotten from a lot of young people is that it makes them feel a little lighter. CHATTERJEE: And now there's more evidence that supports what Lemos-Otero is saying. This new study is published in JAMA Network Open and was done in Philadelphia. EUGENIA SOUTH: Philadelphia, in general, has a lot of vacant lots and abandoned buildings. There's probably about 40,000 of them across the city. CHATTERJEE: That's Eugenia South, an assistant professor at the University of Pennsylvania. SOUTH: The vacant lots are often trashy. We find condoms and needles in them. They're often overgrown with vegetation, and people dump large objects like a refrigerator or tires in them. LEMOS-OTERO: Removing the trash, old vegetation, planting new grass and new trees. CHATTERJEE: For another third of the lots, they only cleaned up the trash, and the rest were kept untouched. 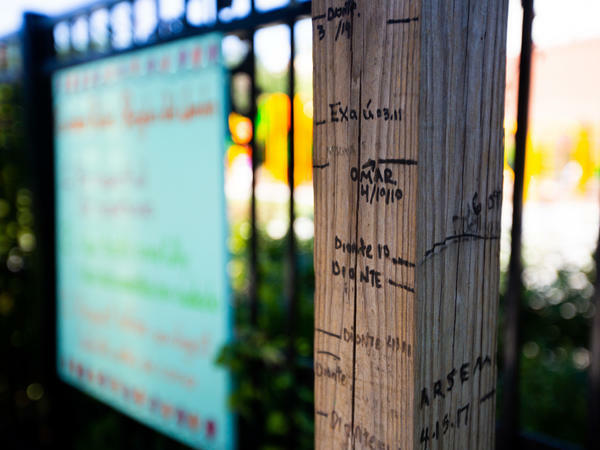 When they surveyed residents for their mental health before and after their experiment, they found that those living next to the green spaces reported feeling better. SOUTH: We found significant reduction in the amount of people who were feeling depressed. CHATTERJEE: The impact was strongest in poorer neighborhoods. 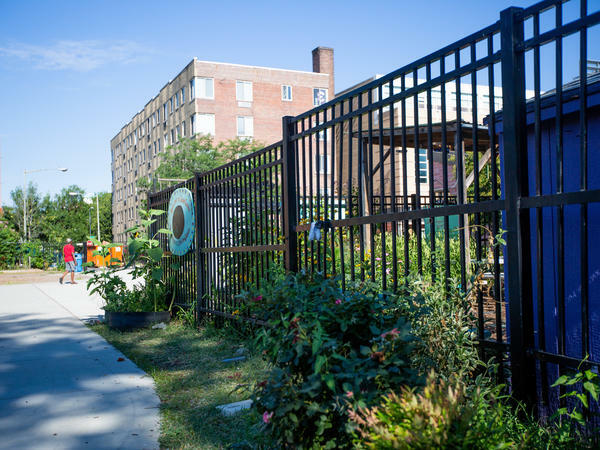 South says turning empty lots into green spaces is an easy, inexpensive way to improve mental health. It can't treat mental illness, but it can improve wellbeing in poor communities across the country. Rhitu Chatterjee, NPR News. Transcript provided by NPR, Copyright NPR.